Yes I know, it seems absurd to even contemplate wearing a turtleneck in summer, even more so a turtleneck dress. Its normally something you would only ever consider thinking of wearing in winter…. long necks, thick material often woolen based… hmmm, sounds like a winter item doesn’t it? Well guess what? You can wear it in summer too! No seriously, you can. Turtlenecks are my ultimate favorite – anything turtleneck based. Its a look that’s so sophisticated and totally fashionable. A style that really never goes out of fashion. 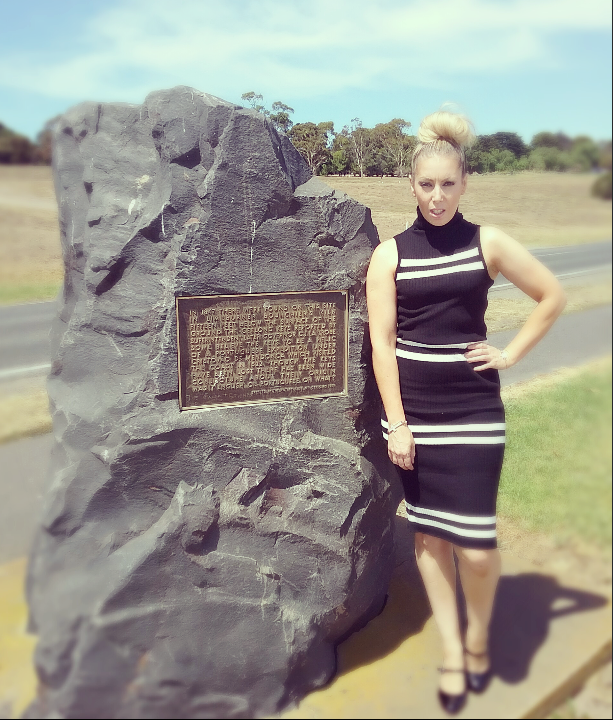 This rock was erected in memory of when the Portuguese first discovered Australia in 1522, making their way around the east cost of Australia, stopping in Geelong for a brief moment and leaving behind the ships keys.